If I were to choose a few meals to eat before I die, Hainanese Chicken Rice would be amongst the Top 3. I’m not sure when or how I fell in love with this dish (certainly not when I was growing up because Bintulu is deprived of good Chicken Rice), but I can tell you this is something I will never get sick of. In fact, if you want me to get really really fat, just serve me this everyday and I simply would not be able to resist it. 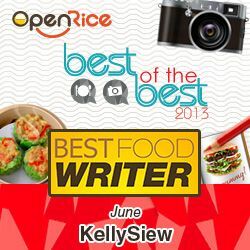 And my love for Hainanese Chicken Rice was reaffirmed during the year I did my Medical Elective in Singapore. For a month, I was stationed in a couple of hospitals and one day, a local friend brought me to this place called Boon Tong Kee, which is famous for its Chicken Rice. Yes I know Tian Tian is supposedly the best in Singapore but I met BTK first! Anyway, I remember there were 3 of us, and we polished off the whole chicken and then some. I’ve never had such smooth skin, such fragrant rice and such complex chili sauce. By the way they also do this superb tofu dish which you must try if you ever visit. Not the best photo but this was from my last visit July 2013. Anyway, from then on everytime I visit Singapore, I insist on going to Boon Tong Kee (a tip for you KL people: If you take Odyssey Bus to Singapore it brings you straight to the Balestier Road branch). I had since tried Tian Tian but it didn’t have the same magic. To each their own right? 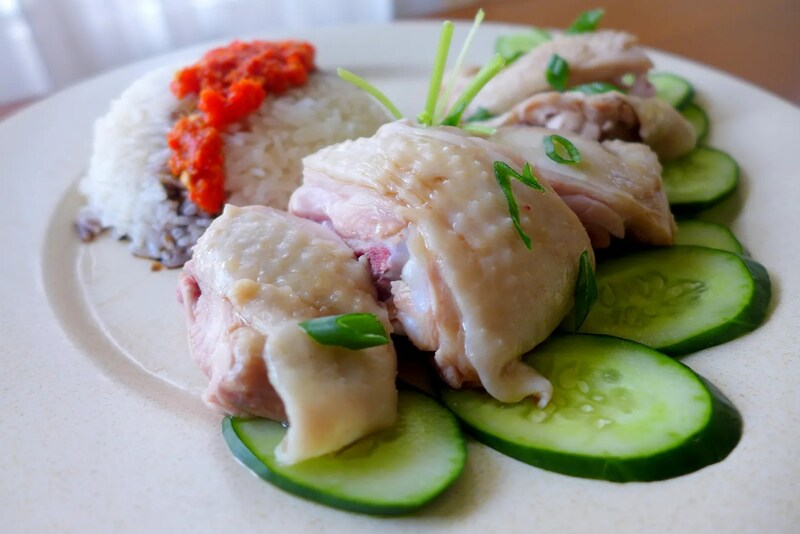 So for this month’s Asian Food Fest, what else but Hainanese Chicken Rice for my first submission! This is not a difficult dish to make, but you do have to multitask. From start to finish, it takes about an hour give and take. As I’m the only one in my household who eats chicken, I decided to just go with half chicken so I can get 3 meals out of it. I didn’t go for fancy chicken either, just regular supermarket non-organic one because otherwise I will have to go for whole chicken. There is a trick to ensure smooth skin though, which I will mention later. This wasn’t the first time I made this dish, but compared to last time, I think I have nailed the rice! Adding the chicken fat and pre-frying the rice really does make a difference. I’ve also made my own chili sauce this time, which proved to be really easy if you have a blender. Clean the chicken and remove any stray feathers. Rub some salt over the skin and perform a little massage, the skin will be smoother if you do this. Submerge chicken in a pot of water and add ginger, garlic and spring onion. Bring to boil and start removing the impurities on the water surface with a mesh strainer. Gentle simmer for about 10 minutes, then turn the chicken over and cook for another 10-15 minutes. You want the chicken to be just cooked, so remember to use really fresh chicken. If not, then cook for another extra 10-15 minutes to ensure food safety. Once the chicken is cooked, lift it out gently and then submerge in a pot/large bowl of ice water. This helps stop the cooking process and also tighten the skin. Just before serving, drain all the water and rub the chicken with some Shaoxing wine and Sesame oil. Chop into smaller pieces. The remaining broth will be served with the chicken rice after tasting for seasoning (just simple salt will do). In a pot, render the chicken fat, and then add sesame oil, ginger, garlic, take extra care not to burn them. Add rinsed rice and stir fry for a few seconds, then ladle in the Chicken stock, and place the pandan leaves on top. If you are using a rice cooker, you will need to move everything into the rice cooker pot. I usually cook my rice on the stove top so it’s a matter of turning the heat to lowest, cover and cook until all water is absorbed. Place all the ingredients into a food blender and blitz everything until a smooth paste is formed. Transfer into sauce dishes or a small bowl and set aside. You can assemble the Chicken rice according to your preference. 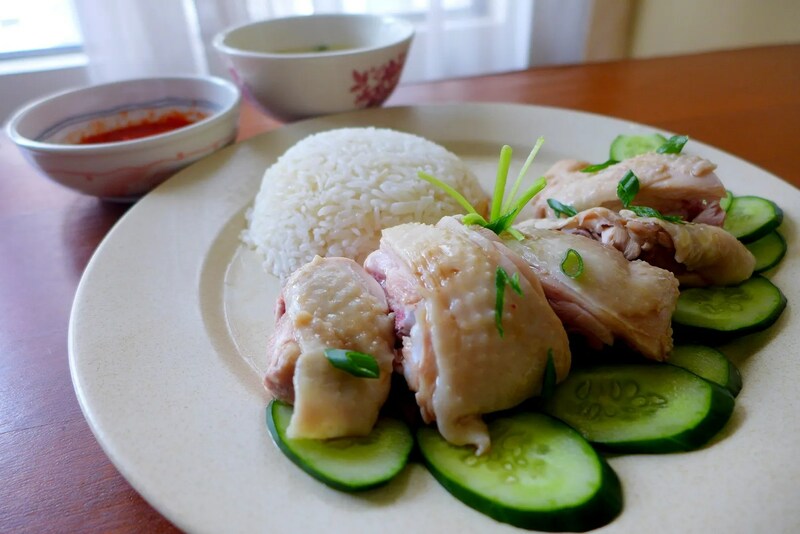 As I was cooking for one, I arranged some cucumber slices on a large round place and place the chicken pieces on top, sprinkled some spring onion, then serve my rice next to it, with the chili sauce on the side. I also dish up a bowl of chicken broth garnished with spring onion. Needless to say, it was a satisfying meal. 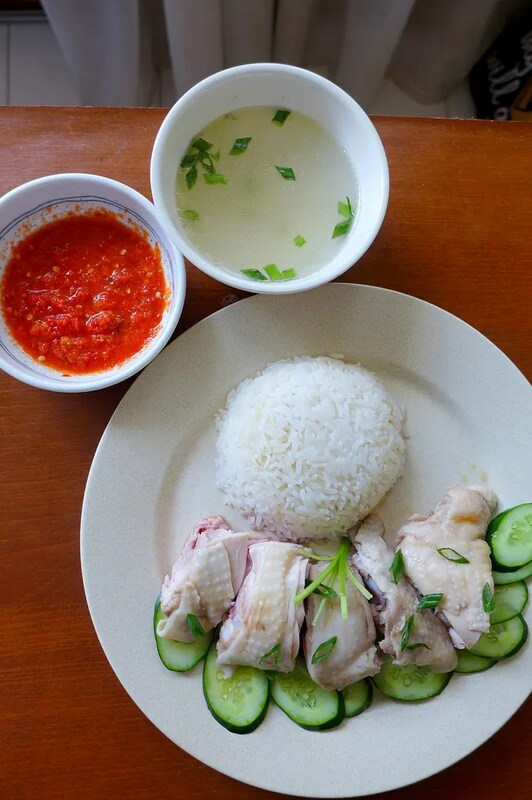 The smooth soft chicken rice, tender meat, aromatic rice, tangy and spicy chili sauce, and the comforting light broth; I can’t think of a better homecooked meal. Though after this attempt, it will be a while until I do it again to keep my waistline where it should be. I am submitting this post to Asian Food Fest #11 Sept 2014 : Singapore hosted by Life can be Simple.